It’s little after 08.00 and I’m being led to the beach, a salt-baked pineapple welcome drink beginning to revive my senses following a lengthy journey. 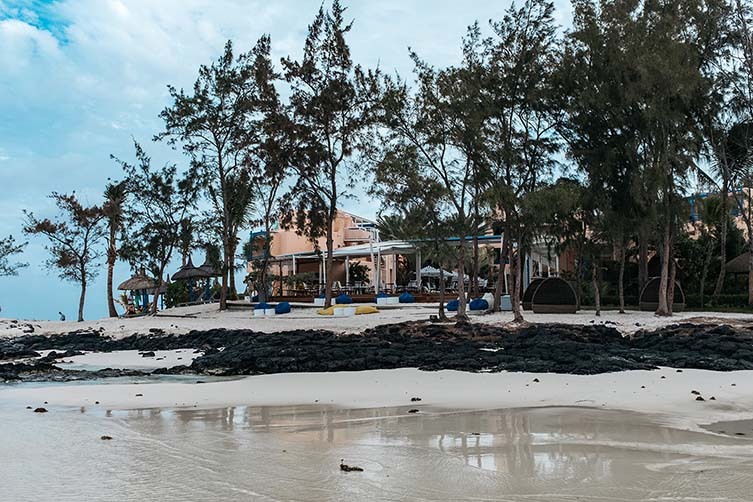 Passing the hotel’s open-sided restaurant bustling with breakfast guests, we reach white sands that cry for my bulky trainers to be removed. 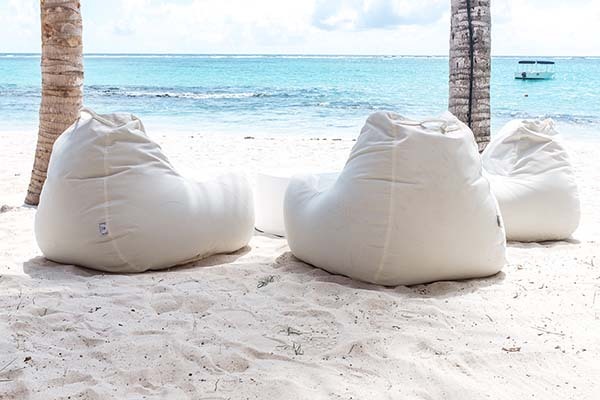 Taking a seat on a plush beanbag at the edge of the Indian Ocean, I ease into a short meditation, newly-free toes burrowing into the powdery matter below as my thoughts inevitably wander to the smells and sounds of my new surrounds. 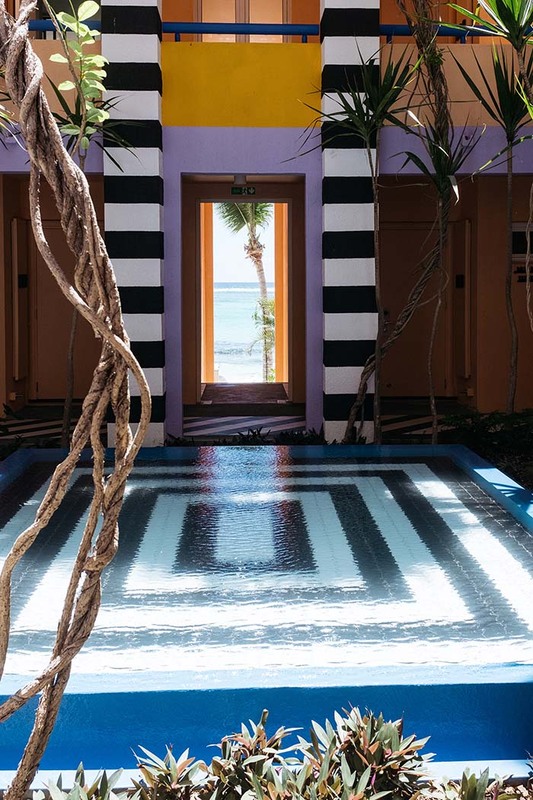 With a welcome drinking and a short guided meditation, SALT urge you to reconnect with nature from the moment you walk in and are led down to the water’s edge. 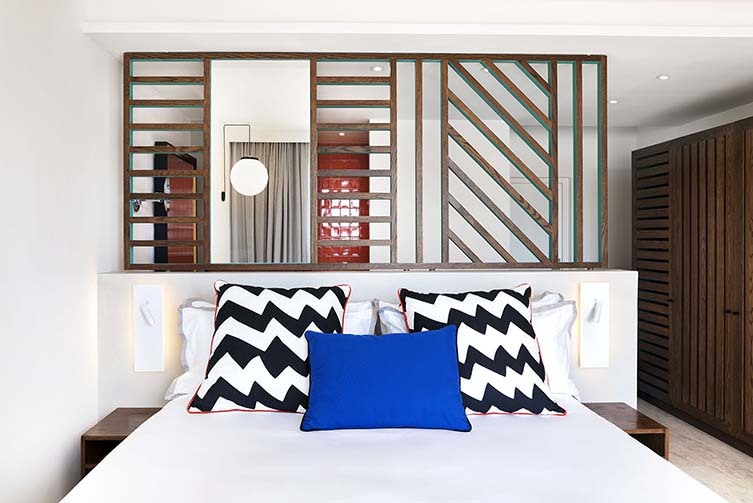 I’m in Mauritius—my first time on the exotic volcanic island—and bedding down at the newly-opened SALT of Palmar, a petite 59-room hotel dedicated to sustainability and acquainting its guests with the real Mauritius through connections with local people, experiences and food. 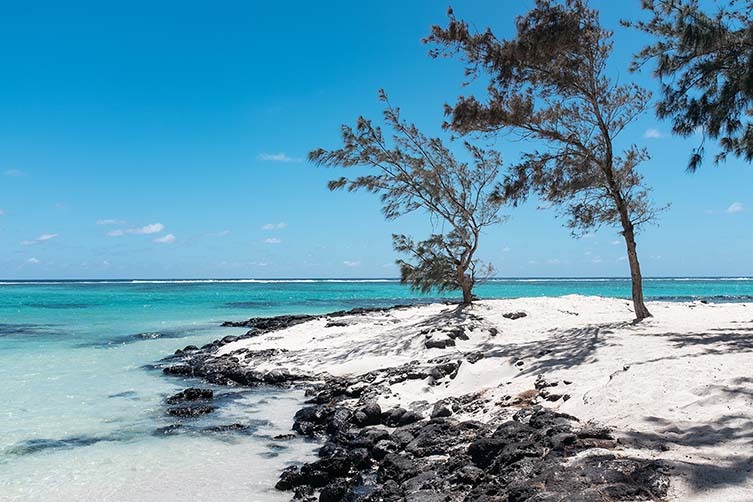 Located on the Mauritius’s alluring yet less-developed east coast, this is a hospitality concept for curious and culturally-savvy travellers, those who want to be immersed in the heart of Mauritian life and, with it, all the fun, colour and teachings that exchanges of this nature inevitably bring. 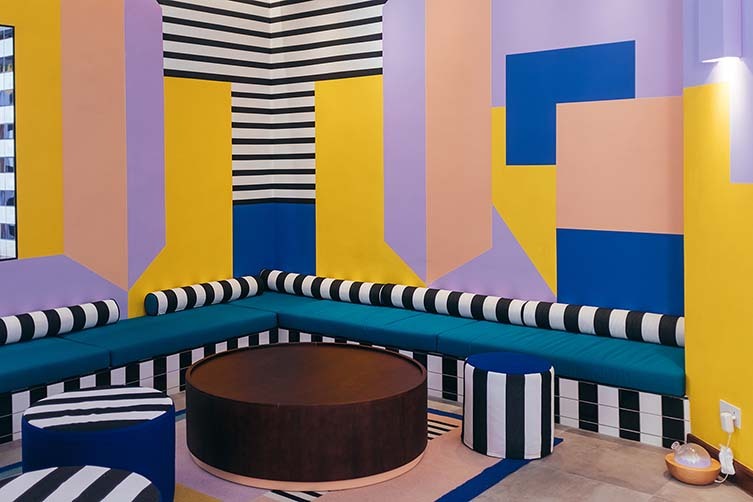 The latest brand from the team behind LUX* Resorts & Hotels, SALT of Palmar is a coming together of creative minds: French artist Camille Walala is responsible (alongside long-time collaborator Julia Jomaa) for its lush interiors—weaving her signature vibrant colours, bold geometric shapes and black and white stripes into your consciousness from the moment you step foot into the ‘resort’; and local architect Jean-François Adam who, influenced by local design, has put a modern spin on an existing Moorish-style riad-esque property originally created in 2005 by renowned Mauritian architect Maurice Giraud. A selection of local makers, artisans and producers complete the line-up. 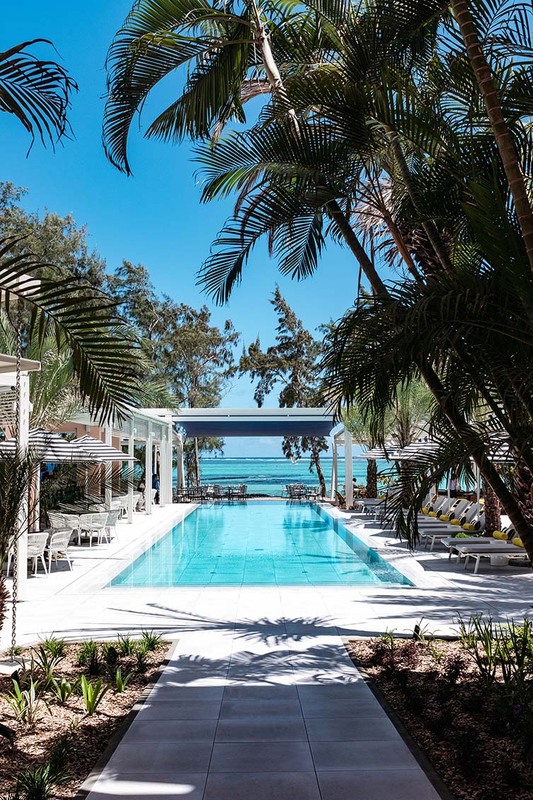 SALT of Palmar is the first eco-hotel on Mauritius, and rooms feature refillable dispensers and tubs packed with locally-produced, all-natural and paraben-free body washes, shampoos, conditioners, sun cream, salt scrub and hair masks. 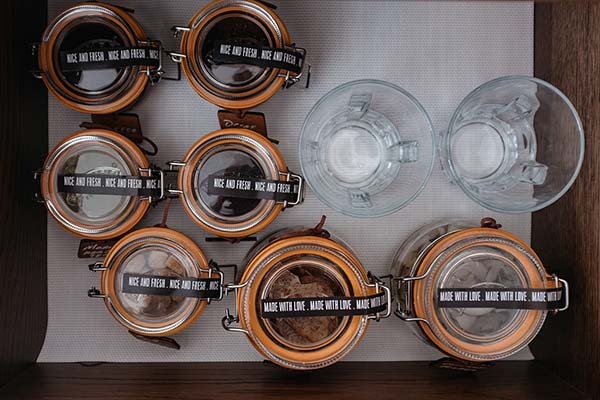 There’s no in-room mini bar at Salt of Palmar, instead guests will find complimentary jars of taro chips, coconut flakes, freshly-ground coffee and a selection of teas including the nutrient-packed Moringa. 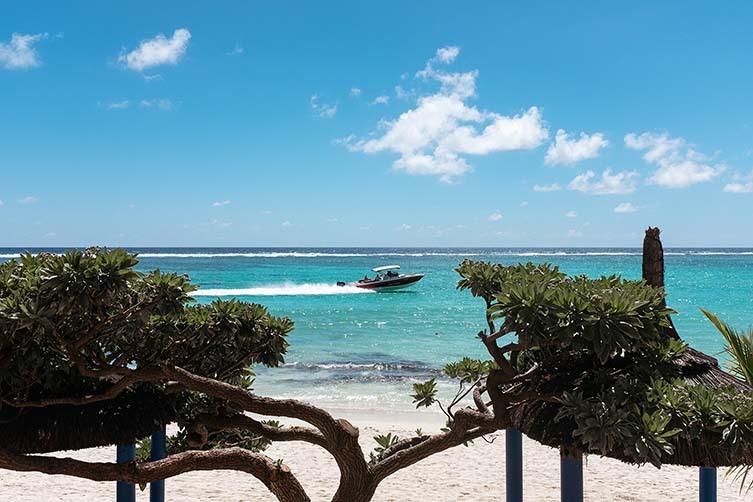 The first eco-hotel in Mauritius, rooms feature refillable dispensers and tubs packed with locally-produced, all-natural and paraben-free body washes, shampoos, conditioners, sun cream, salt scrub and hair masks. Cotton pads and loofahs are 100% organic, earbuds and toothbrushes made from sustainably-farmed bamboo. 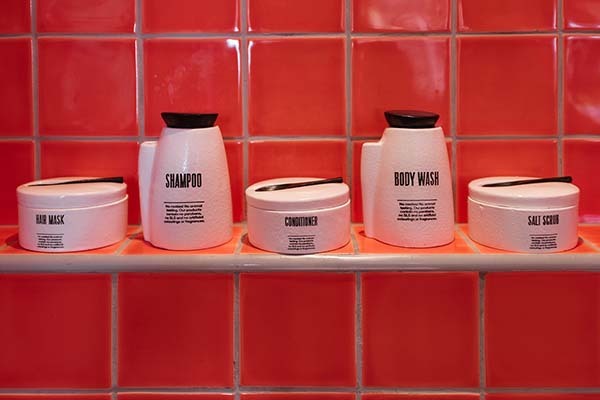 All come packaged in a paper alternative made from crushed limestone, combining hygiene and sustainability in one genius master stroke. Organic-cotton bathrobes are crafted from unbleached cotton and coffee bean waste, whilst rubber-soled cinnamon sedge slippers provide an alternative to the typical throw-aways, and massage the pressure points in your feet whilst smelling divine at the same time. A reusable aluminium water bottle is gifted to guests upon arrival and can be filled with still, sparkling or alkaline water at one of several filtered water stations throughout the hotel. 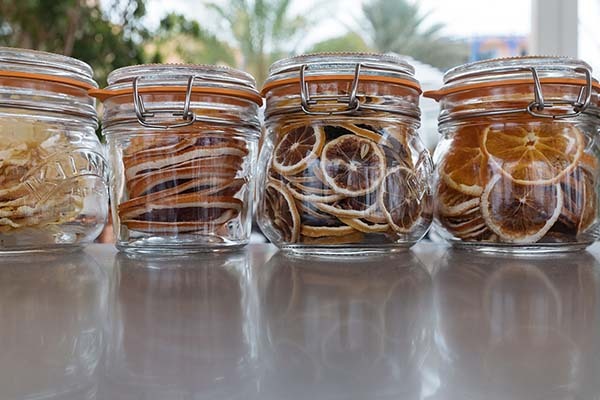 And although there is no in-room mini bar, guests will find jars of taro chips, coconut flakes, freshly-ground coffee and a selection of teas including the nutrient-packed Moringa. 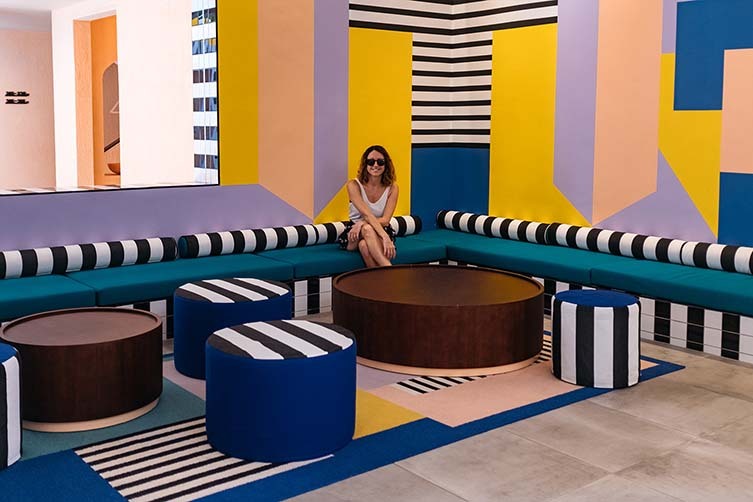 It’s all an exhaustive and hugely impressive commitment to making significant change, and a blueprint for an approach many a hotel should seek to adopt. Staying in a ‘Bang on the Beach’ room just steps from the gently lapping waves of the ocean, a perfect night’s sleep is had thanks to the handmade, king size Carpe Diem bed with a ridiculously comfortable 500-thread-count duvet cover. Rooms are simple and unfussy, and painted white with floor-to-ceiling windows that afford me spectacular views of the sunrise from my bed each morning. 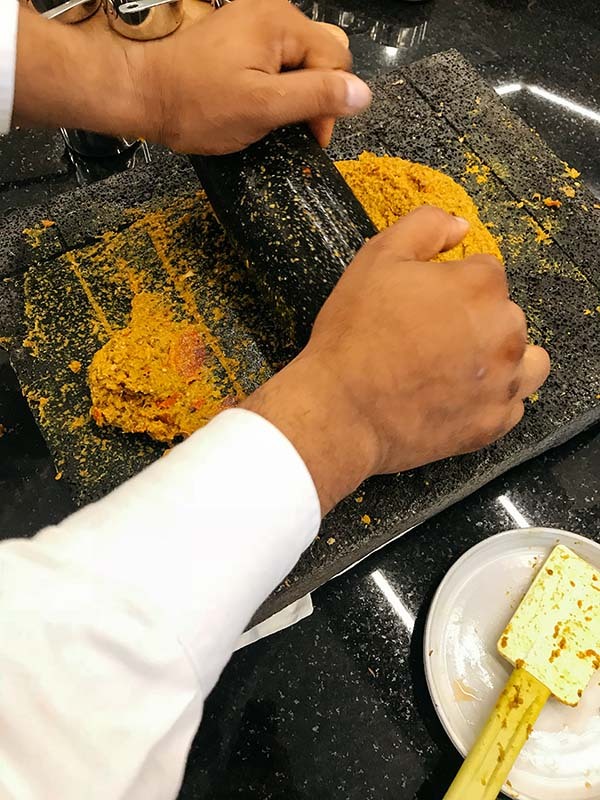 Crafting a typical Mauritian free range chicken curry under the tutelage of executive chef Khader Rehad. 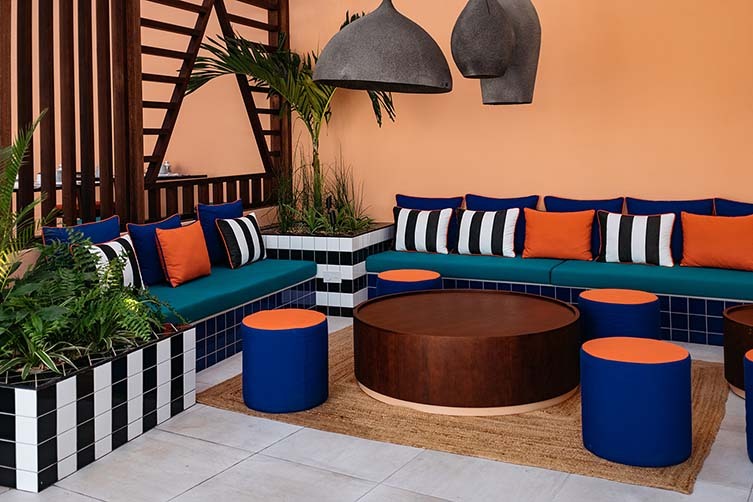 Splashes of colour come courtesy of bright cushions, custom seating and the sizeable orange tile shower. 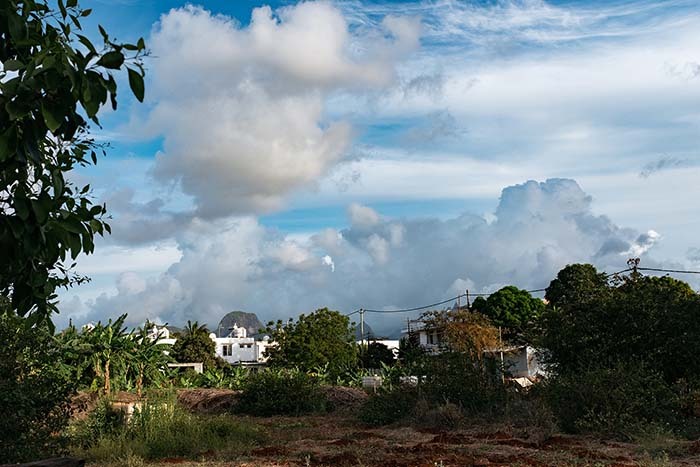 With no television, a less brainwashing distraction comes in the form of a Roberts radio playing SALT FM’s soothing sounds of the island, and a curated selection of books. 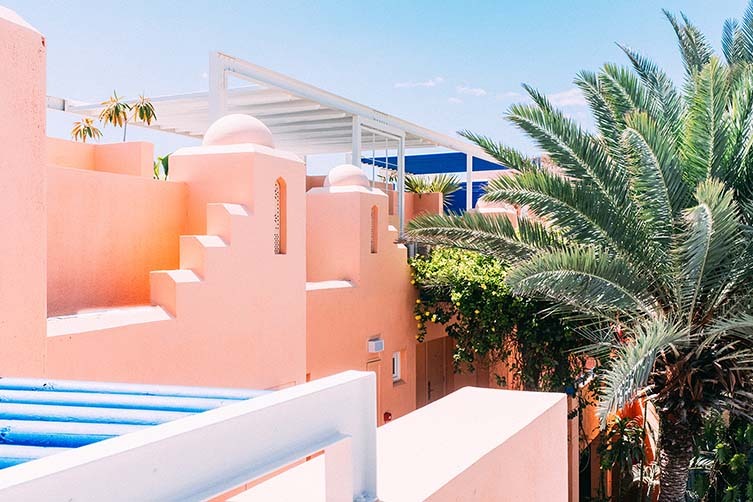 Set over three storeys—each with its own terrace—other room types include the generous Best on Beach, Pool Plus, Poolside, and Garden View. 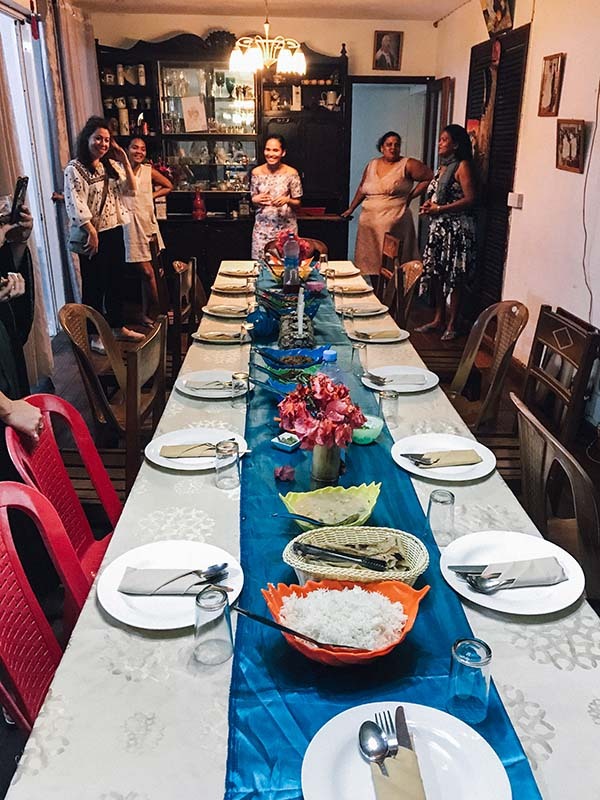 An authentic Mauritian dining experience at the home of SALT friend Mirella Armance and her family, the night closing when her brother appears with a friend to perform music on a hand drum; Mirella leading us onto her terrace to follow the rhythm. Encouraging staff to actively interact with guests—some off-property excursions offered for free—my time in Mauritius included a bike tour to the nearby ruins of an old sugar mill with fitness trainer Tony; cooking lessons with executive chef Khader Rehad, where together we craft a typical Mauritian free range chicken curry; cocktail-making with local mixologist David; I try my hand at kneading bread; and spend a morning in lush Clemencia visiting the farm where bar worker Denis grows the taro (a root vegetable that makes the most incredible crisps) he supplies to SALT of Palmar. There is a sense of family fostered throughout time spent here. Creating truly authentic and unforgettable experiences with islanders is—alongside sustainability and progressive design sensibilities—the SALT modus operandi, and my short stay on the island also sees me sipping homemade flavoured rum with SALT friend Mirella Armance at her family home. Mirella’s fine rums sampled, we proceed to spend the evening enjoying a Mauritian dining experience joined by her husband, some of her nine daughters (five of them adopted), her small grandson and a French couple who, as Mirella’s debut guests some three years ago, are now firm friends and visit the family once a year. With five generations living under one roof, the night draws to a close when her brother appears with a friend performing the ritual-like Sega music on a hand drum, Mirella leading us to the terrace to swing our hips to the pulsating rhythm. Hugely affable bar worker Denis on the farm in Clemencia where he grows the taro that he supplies to SALT of Palmar, the incredible ‘taro chips’ complimentary in your room. 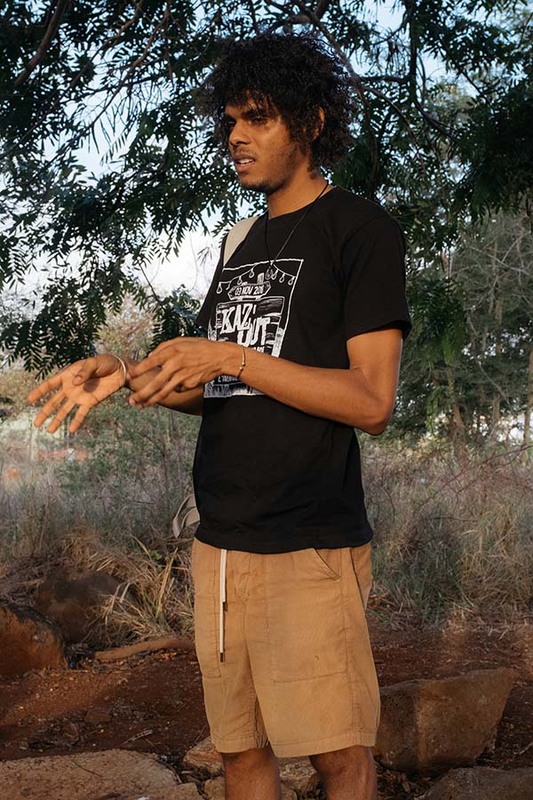 Island Bio co-founder Olivier Fanfan explains how through creating community gardens staffed by ex-offenders, recovering drug abusers, and others in need of a second chance, the non-profit organisation can bring food justice to everyone. 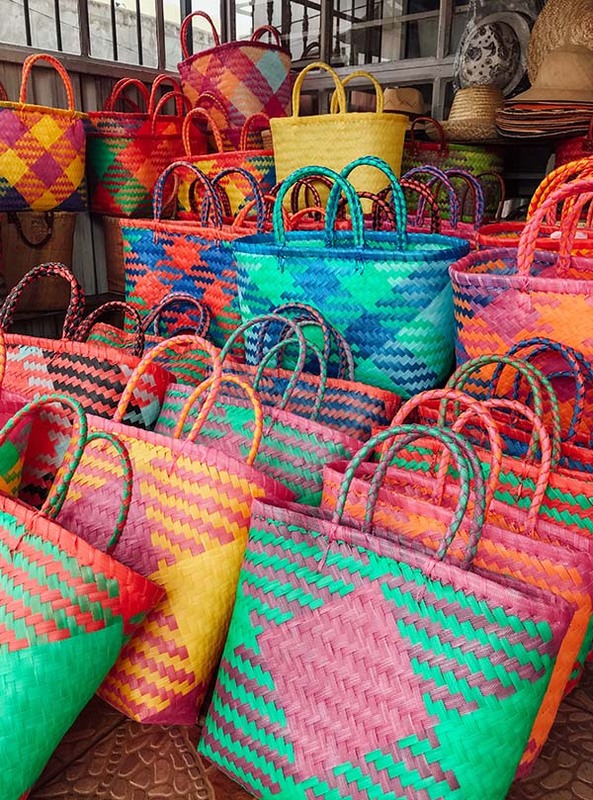 Reotee Buleeram creates the colourful beach bags at SALT of Palmar. 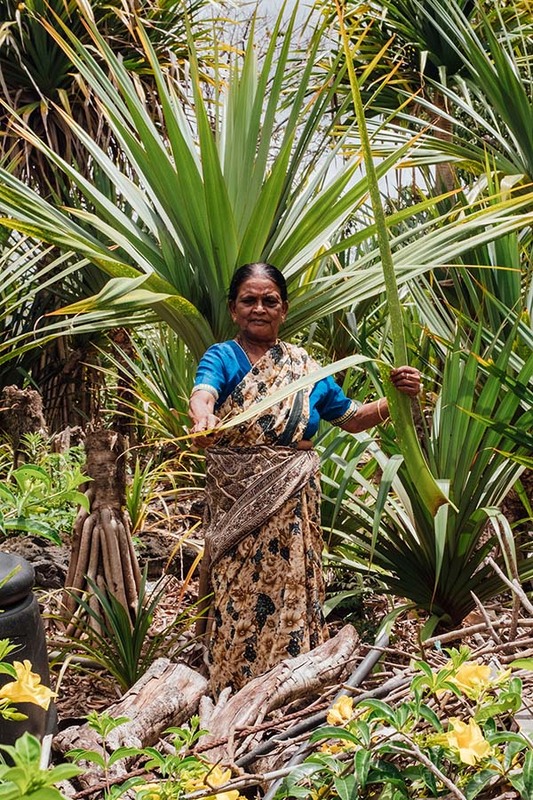 This is her among the vacoas plants in her garden, directly behind her workshop in the small village of Brisée Verdière on the east of the island. 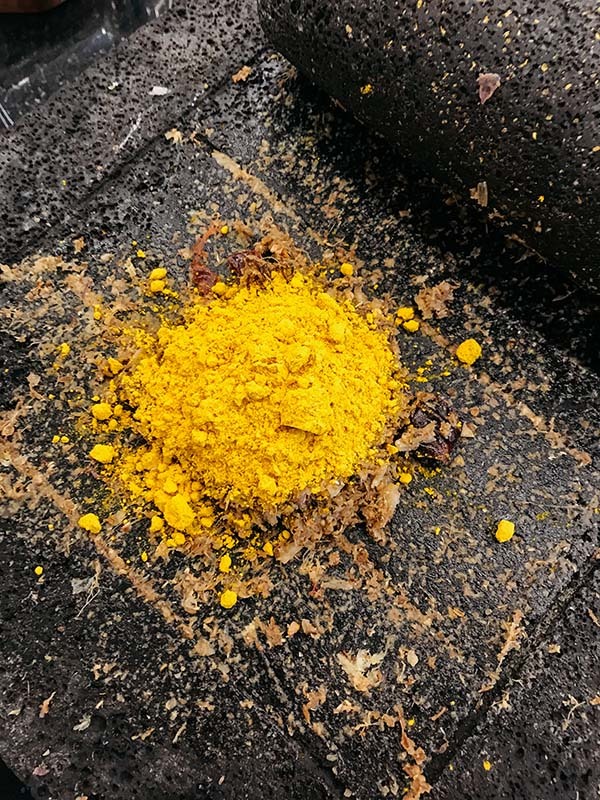 The colourful beach bags that Reotee Buleeram makes for SALT of Palmar at her workshop in the small village of Brisée Verdière on the east of the island. 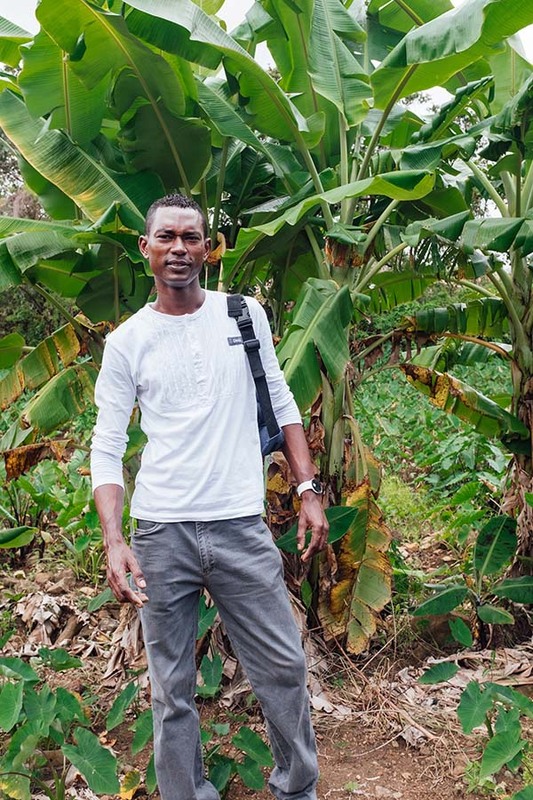 Alongside partner Yannick—who thought of the idea whilst in prison for smoking marijuana—Island Bio has created a series of community gardens staffed by ex-offenders, recovering drug abusers, and those—like Yannick himself—in need of a second chance. 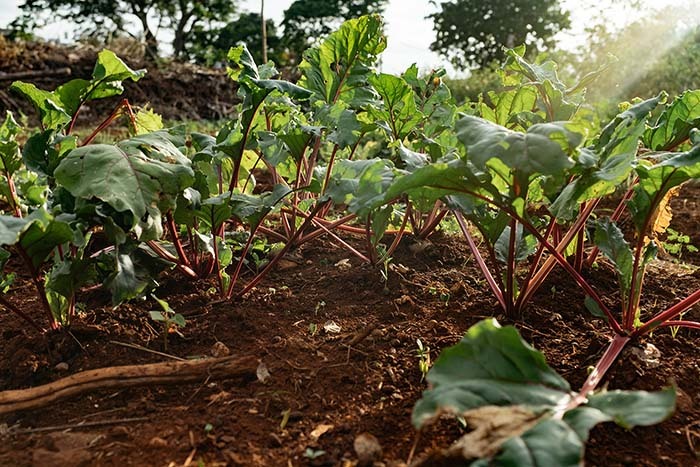 Fresh, healthy and organic vegetables free from harmful pesticides and preservatives grown by the marginalised who might otherwise continue without direction. It’s a genuinely inspirational afternoon, one that confirms the lengths this hotel project is going to in supporting tangible positive change for the island. Through the Skill Swap initiative, guests and locals can connect and exchange their time, talent and skills. Be that basket-weaving with Mrs Reotee Buleeram at her small workshop in the village of Brisée Verdière; pottery-making with South African native Janine Espitalier-Noel who—having lived on the island for ten years—produced all of the handcrafted pottery throughout the hotel; or soap-making with Nathalie and Sarah, simply by staying at the hotel guests can empower the local community whilst deeply enriching their own travel experience. 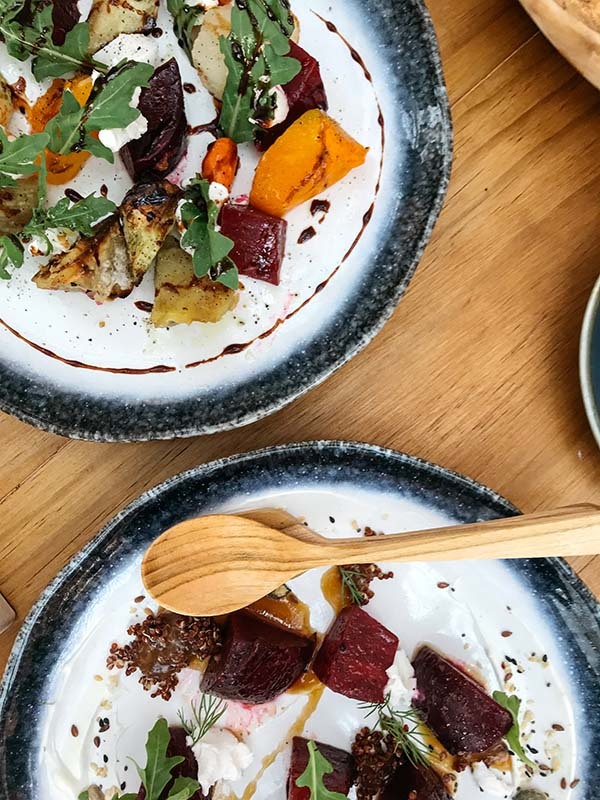 Supporting bio-farming and zero-waste, you’ll find no buffet at SALT of Palmar. 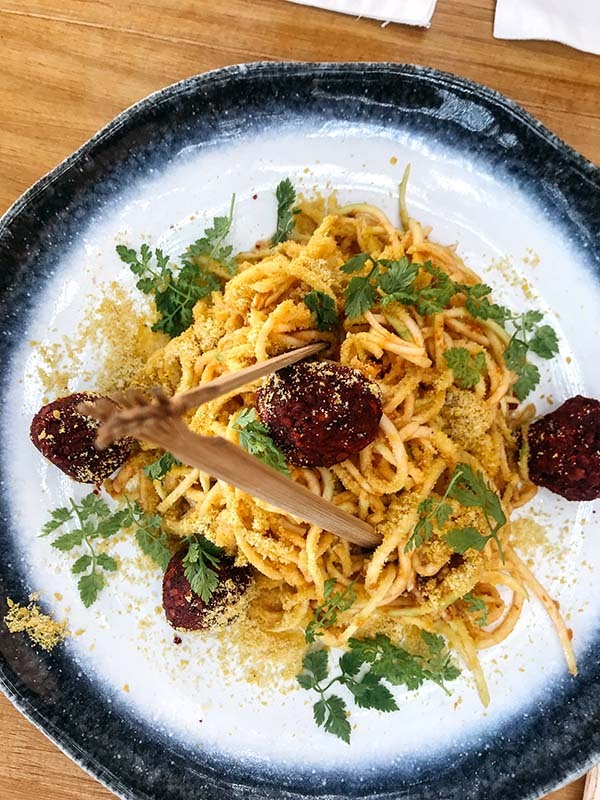 Instead, food—a fusion of Mauritian, Mediterranean, and Asian flavours—is freshly-prepared, healthy and organic. 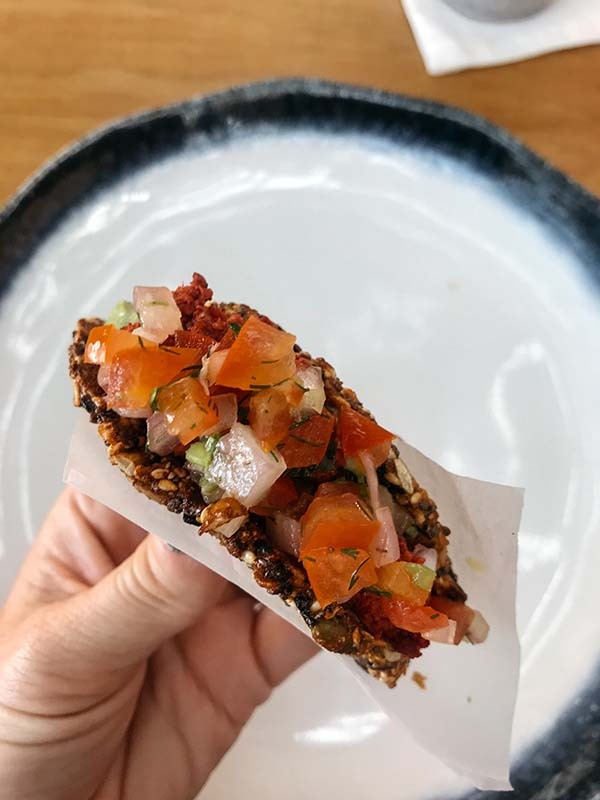 Breakfast is a wonderful affair with baked breads and pastries offered alongside a comprehensive menu that includes açai bowls, eggs and avocado toast, and exceptional coffees. 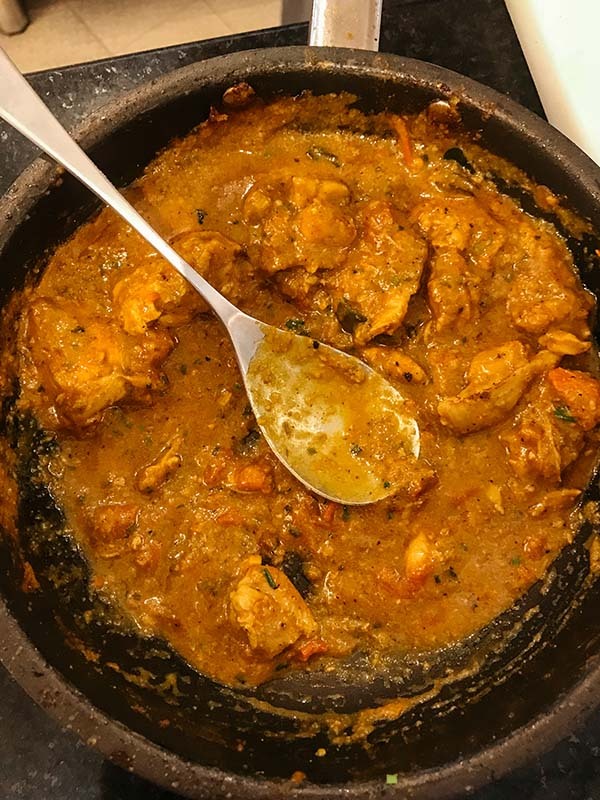 The all-day menu features fresh catch of the day, locally-sourced meats, vegetables and salads; the smoker, Josper grill, wok, tandoor, or pizza oven adding depth of flavour to each dish that’s presented. 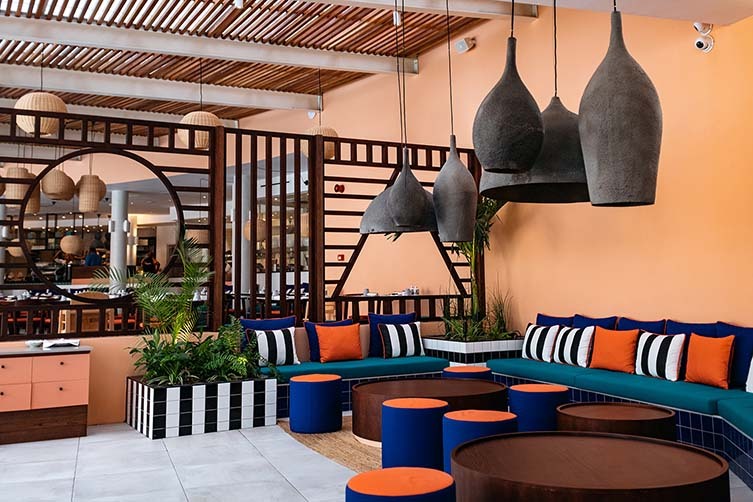 A sizeable space with both communal and more intimate tables, the indoor-outdoor restaurant located next to the swimming pool—with additional tables close to the beach and teaming with Walala’s colourful patterns—is an integral part of the hotel, just as eating with friends and family is on the island. 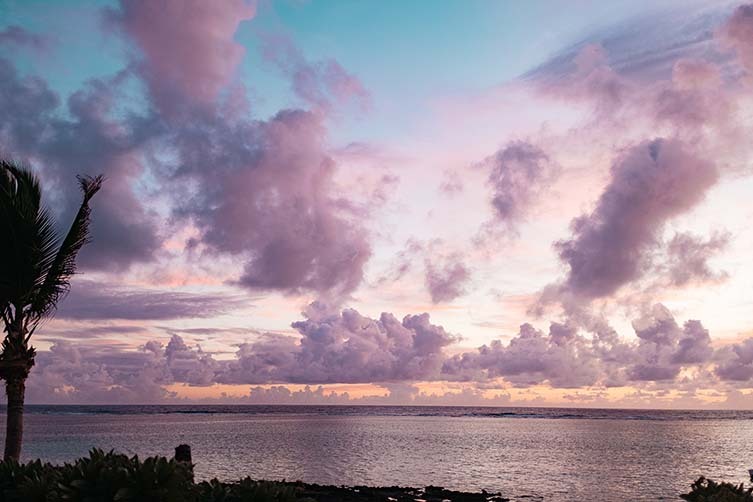 Rooftop bar, Clouds, with views over the ocean and resort is the perfect romantic spot to finish the evening, cocktail in hand. 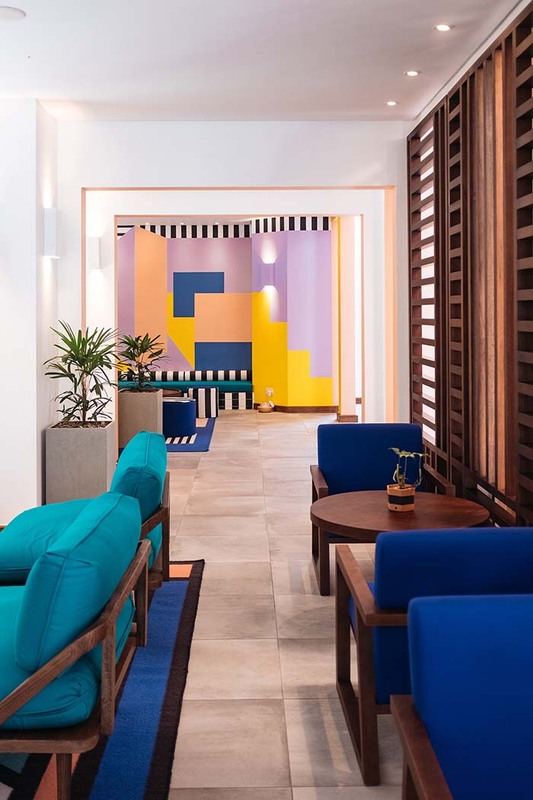 Another first for the island, SALT Equilibrium boasts Mauritius’s debut salt therapy room with a name that captures the SALT essence in a nutshell. 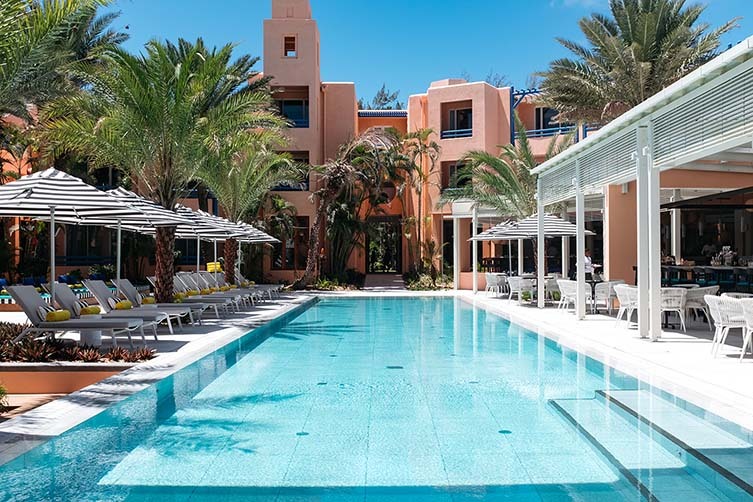 Whether working out with island athletes, indulging in a sunrise yoga class, hopping on a bike and exploring the local area, or lounging on an emerald green beach bed before an invigorating massage and time out in the salt room, this project perfectly balances experience and enjoyment. 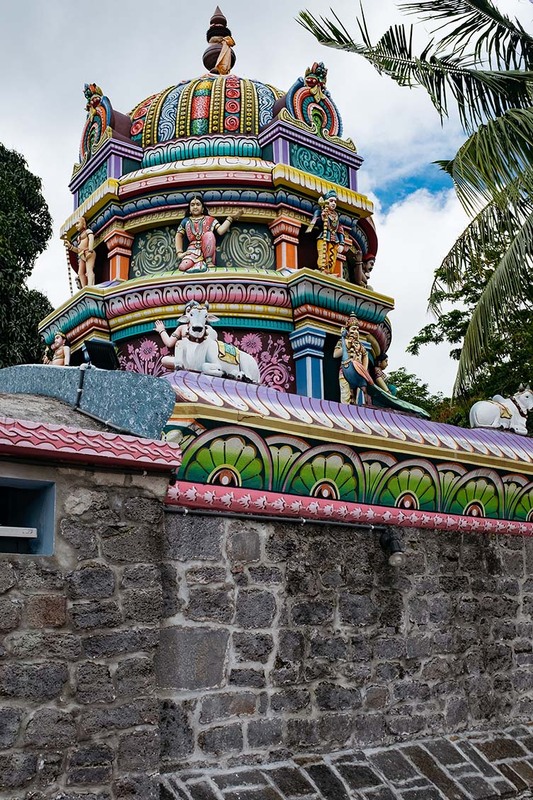 It offers equality for islanders and travellers seeking that indefinable ‘more’. Kicking back in total serenity or leading a dance to local rhythms—SALT of Palmar balances everything exquisitely. It is the total travel experience. SALT of Palmar Photography © We Heart.